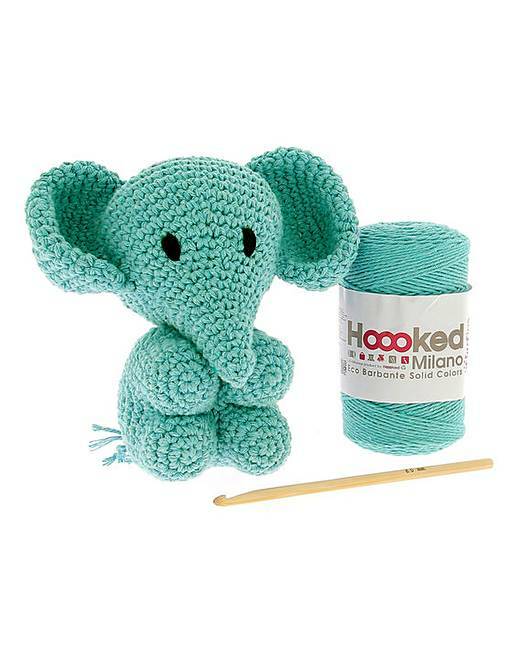 This crochet stuffed elephant from Hoooked is approximately 20cm tall and made entirely with ecological Eco Barbante cotton yarn. This crochet pattern guarantees hours of crochet fun. Create something super-cute for yourself or to give away as a gift. This would make an ideal cuddly toy for a little one. This crochet kit come with all the basalt wool you need to create your cute, stuffed toy. You also get the bamboo crochet hook and Hoooked pattern to follow.